We created the first animal models of postpartum depression (PPD) based on the unique physiology of females: ovarian steroid-withdrawal Galea et al., 2001 or high CORT postpartum Brummelte et al., 2006. Steroid hormones play a significant role in depression including postpartum depression (PPD) Brummelte and Galea, 2010a; Brummelte and Galea, in press. During pregnancy and postpartum, levels of steroid and peptide hormones fluctuate dramatically which could contribute to the etiology of PPD. In women, elevated estradiol levels occur throughout the third trimester but drop dramatically after parturition, with the expulsion of the placenta, leading to the hypothesis that an “estradiol-withdrawal state” during the first few weeks after parturition contributes to PPD. My laboratory created an animal model of PPD on the basis of ovarian hormone withdrawalGalea et al., 2001. We found that withdrawal from a hormone-simulated pregnancy induced depressive-like behaviors (increased immobility in the forced swim test (FST) and decreased sucrose preference Galea et al., 2001; Green et al., 2009. 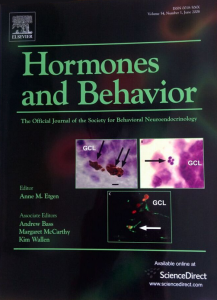 Furthermore hormone simulated pregnancy(HSP) withdrawal reduced hippocampal neurogenesis that was alleviated by an estrogen receptor (ER) β agonist or the tricyclic antidepressant, imipramine (Green and Galea, 2008). Despite the fact that diarylpropionitrile (DPN), an ERβ agonist can increase sucrose preference and cell proliferation in our HSP PPD model Green and Galea, 2008, ERα expression is reduced in late pregnancy (day 21) in the CA3 region of the hippocampus of primi- or multi-gravid normal rats (Pawluski et al., 2010). We created another model of PPD or stress by administering high CORT postpartum to dams Brummelte et al., 2006; Brummelte and Galea, 2010b. We found that dams given high CORT postpartum exhibited depressive-like behavior (increased immobility in the forced swim test) compared to controls. Furthermore CORT dams spent less time nursing and more time away from the nest Brummelte et al., 2006; Brummelte and Galea, 2010b;Workman et al., in press. 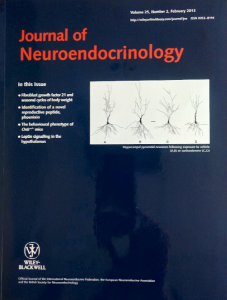 High CORT postpartum also resulted in reduced cell proliferation in the dentate gyrus Brummelte and Galea, 2010b and reduced dendritic branching in the CA3 region of the hippocampus of the dam Workman et al., 2013. The offspring of the CORT-treated dams sometimes exhibit increased hyperactivity, anxiety-like behaviors and ‘impulsivity’, which were more pronounced in male than in female offspring Brummelte et al., 2006; Brummelte et al., 2012,although this can depend on maternal fluoxetine exposureGobinath et al., 2016. High CORT in the dam resulted in higher levels of CORT in stomach milk, serum and brain of the offspring Brummelte et al., 2010. These findings point to the fact that the mother’s hormonal state can influence emotional and neural outcomes in her offspring, and potentially influence their vulnerability to subsequent neuropsychiatric disorders. Adult neurogenesis was suppressed in both models Green & Galea, 2008; Brummelte & Galea, 201) and chronic tricyclic antidepressant restored levels of neurogenesis in ‘PPD’ rats Green & Galea, 2009. Further sucrose preference was diminished during the postpartum in ‘PPD’ rats Green, et al, 2009 . Postpartum fluoxetine to dams attenuates CORT effects on maternal care but not on depressive-like behaviour Workman et al., in press. Translational work examined the effects of SSRI exposure and maternal mood during gestation on neuroplastic markers in infants Pawluski et al., 2009; Brummelte et al., 2012. Intriguingly girls had lower reelin levels , a neuroplastic protein, than boys from SSRI-treated moms Brummelte et al., 2012.